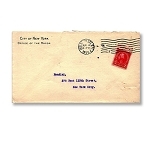 The postmark is June 28, 1925. 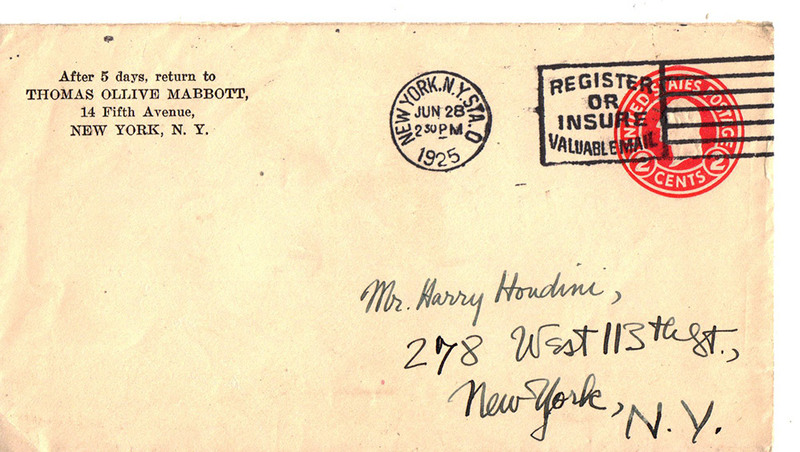 The return address is Thomas Ollive Mabbott, 14 Fifth Ave, New York, NY. Thomas Ollive Mabbott (1898-1968) was American scholar and professor, most known for being an expert on Edgar Allan Poe. At the time of the letter, he was a professor of English literature at Northwestern University in Illinois. "Maelzel's Chess Player", an essay by Edgar Allan Poe, was about The Turk, a real chess-playing machine exhibited with great success in the US and Europe in the 1800s. 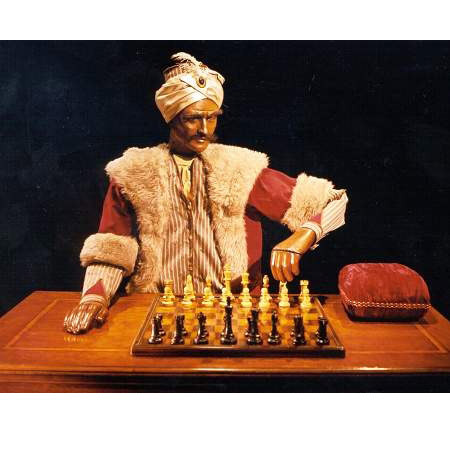 Also known as the Mechanical Turk or Automaton Chess Player, this sensation looked like a life-size wooden man in a turban who would play chess against- and usually beat- any audience members. The figure was plainly solid wood, and the table and chair holding the figure were shown to be empty except for spinning gears and wheels. How did it work? Was it truly a mechanical marvel, an early computer perhaps? No- it was an elaborate hoax. We won't be exposing the secret here, but Poe did just that! Most likely this correspondence was in reference to that very essay.